A few weeks back Gabe and I had the opportunity to check out Ruth's Chris Dauo Vineyards Tastemaker Dinner. 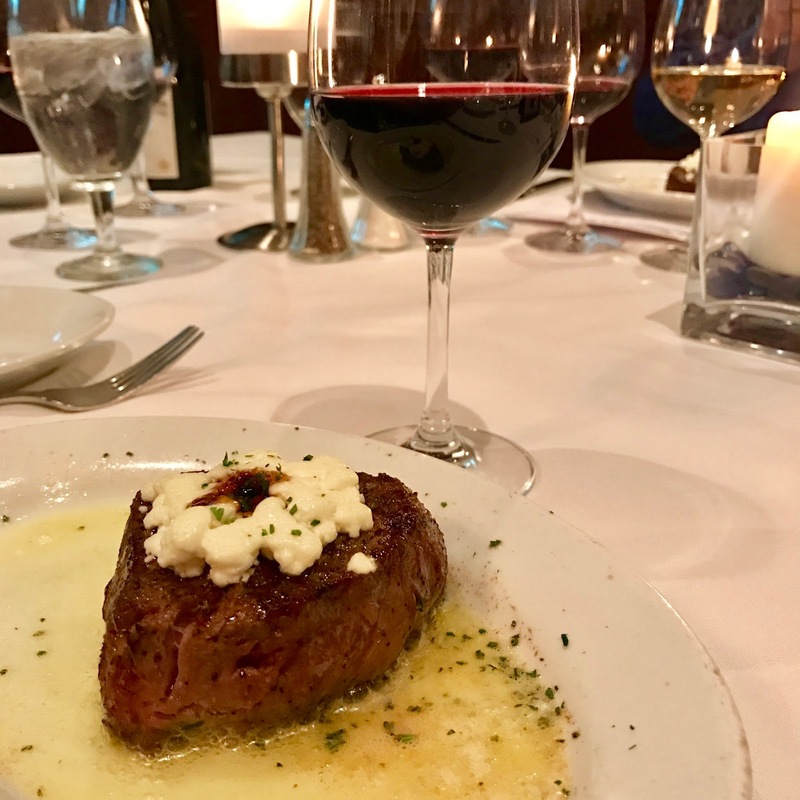 Ruth's Chris holds a special place in our heart as it was one of the first places we dined at when we moved to Tampa 6 years ago. There's something about the steak and melted butter that gets me every time. We had a fantastic time at the Tastemaker dinner and I hope to attend more in the future. The April Ruth's Chris Tastemaker Dinner will be a 5 course pairing with Jonnie Walker. Click here to find a location and date near you. Along with Johnnie Walker, there is a fantastic lineup for the rest of the year including: Chateau Montelena Winery, Moet Hennessy (which I must go to) and Marchesi Antinori. You can check up the lineup and get the dates for your Ruth's Chris by clicking here. 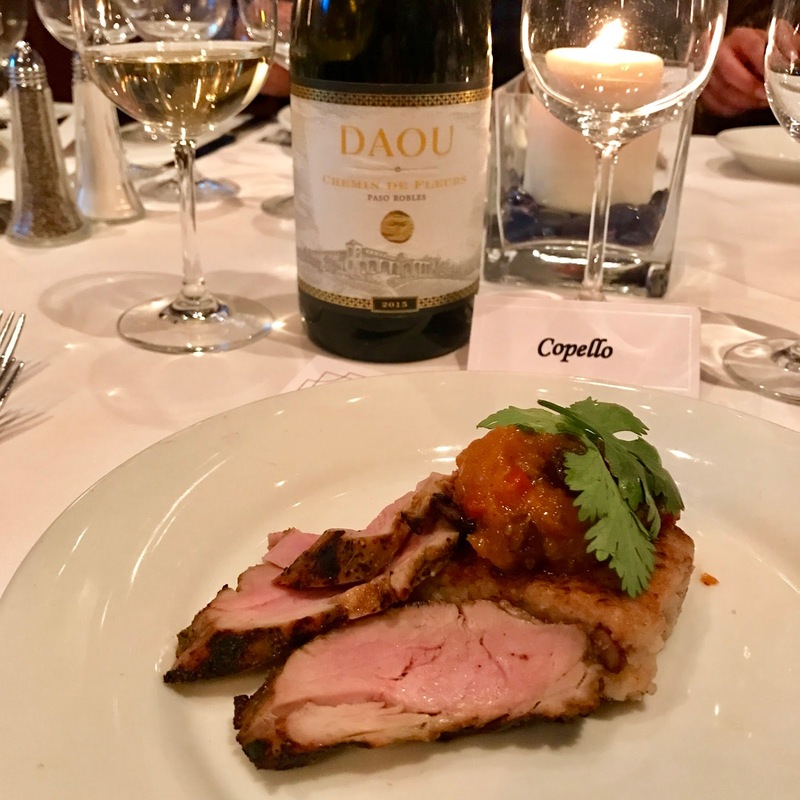 So back to the Dauo Tastemaker Dinner, we had 5 courses perfectly paired with Dauo wines. Each plate was excellent as was the wine. Overall, I was very impressed with the Tastemaker dinner and Ruth's Chris did an excellent job with it. This pork was cooked to perfection and had a great spice to it. The Chemin De Fleurs was a perfect pairing to this slightly spicy dish. I have never had this varietal of wine before, which is very rare. I am pretty picky with white wines and this was one anyone could drink. Anytime I am presented with pappardelle, my life becomes 10x happier. Mix that pappardelle with chocolate and coffee braised short rib...well be still my heart. Seriously one of the best, if not the best, pastas I have had in the US. Dear Ruth's Chris, I need this recipe. The Daou Cabernet was an excellent companion to this dish. The star of the show at Ruth's Chris is always the filet mignon and this one did not disappoint. Not seen in the photo of meat and butter was our sides, consisting of zucchini fritters and potatoes au gratin. All was delicious. Then to pair it with a reserve Daou Cab was an extra treat. This wine drank beautiful with the steak. Apparently after 4 courses and glasses of wine, I tried to get artistic with my dessert photo. Excuse the super sideways pic! The chambord cream was insane and I could have happily ate an entire dish of it. We truly enjoyed the Pessimist red blend with the dessert. Awesome job to the Tampa Ruth's Chris team. You left us impressed!